When Gen. George Washington needed men, food, cannon or gunpowder for his army, he could usually get it at the Trumbull store. Connecticut Gov. 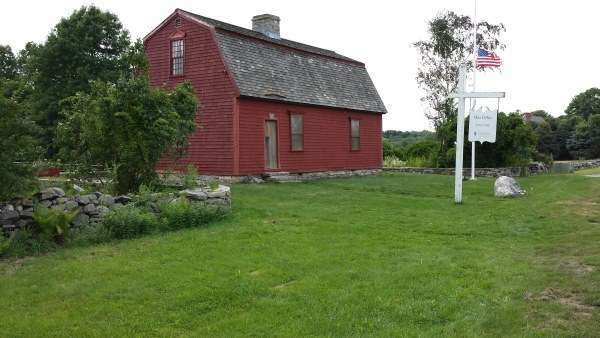 Jonathan Trumbull ran the tiny, two-room store as a war office in Lebanon during the American Revolution. He weighed, measured and packed up barrels and boxes of his own merchandise for the cause. He sent off teams of oxen and carts to the Continental Army and dealt powder and musket balls to the militiamen. Throughout the American Revolution, Connecticut's Council of Safety met in the Trumbull store next to his house on Lebanon Green. Visitors included George Washington, Henry Knox, Israel Putnam, Marquis de Lafayette and Count Rochambeau. Both the house and the War Office still sit on the mile-long green. Jonathan Trumbull, proprietor of the Trumbull store. Trumbull was the only colonial governor who sided with the rebels during the Revolutionary War. He was also one of the few Americans governors of both a colony and a state. Before the war, he accumulated great wealth as one of the most prominent shipping merchants in the colonies. Born Oct. 12, 1710, he had graduated from Harvard and studied for the ministry. He had a license to preach at Colchester, Conn., but he joined the family business after his brother disappeared at sea and his father got too old to work. His sloops, schooners, brigantines and snows came into New London and Norwich carrying goods from a wide commercial network including the east coast of North America, the West Indies and Europe. His ships carried Connecticut products: salt fish, oil, flax-seed, produce, wool, livestock and -- most important to the Royal Navy -- pine and spruce for the king’s masts. In the Trumbull store he sold imported dry goods: cloaks, caps, waistcoats, greatcoats, cloth, scythes, nails, firearms, crockery, cutlery and pewter. Trumbull was worth 18,000 pounds at the end of 1765. He held various judgeships and government jobs until 1769 to 1784, including governor of the colony, then the state. Lebanon, by the way, produced five governors, including Trumbull's son and grandson. The people of Lebanon liked to boast, "We supply Norwich with butter and cheese, and the State with Governors, especially when they want good ones." 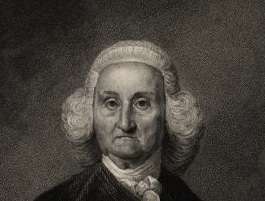 As a merchant and a politician, Jonathan Trumbull objected to Britain's Intolerable Acts. He was especially offended by Parliament's insistence on writs to authorize the invasion of homes to search and seize goods. When he got word of the Battles of Lexington and Concord, he went to the Trumbull store and collected supplies for the men marching off from Lebanon. Inside the Trumbull store, he discussed ways to supply the armies as messengers came and went on horseback. He sent off wagon trains and herds of cattle. When men joined the Army of the Revolution, they gathered around the store nicknamed the 'War Office' before marching off to fight. From his War Office, Trumbull directed supplies to feed the Continental Army, French troops and -- just as important -- the workmen of a forge in New Jersey. When the people of Nantucket had no bread one winter, he let them barter oil, salt and rum with Connecticut merchants. When Congress asked him for 539 head of cattle immediately, he sent them. And when the starving troops in Newport came close to mutiny, he sent them 300 barrels of Indian corn. During the winter of 1779-80, Washington and his troops were quartered in Morristown, N.Y. George Washington Parke Custis related how his adopted father despaired of getting any supplies from any of the states. Washington sent a letter by special messenger to Trumbull, Custis said. Trumbull met the messenger in the War Office and told him to rest for the night. The messenger galloped back the next day with a sealed letter. Washington read the letter in the presence of Custis. It said at a certain hour on a certain day, a wagon train from Hartford would arrive with 200 barrels of flour, 100 barrels of beef and 100 barrels of pork. On the day Trumbull said the provisions would arrive, American soldiers stood on the camp's highest hills looking for the wagon. Custis described how, "Within half an hour of the time assigned by Governor Trumbull for the arrival of the stores, the expectant eyes almost filled with tears of joy at discovering through the mists of the valley the teamsters cheering along their jaded horses." The Trumbull store passed into other hands after the war, and for many years functioned as a country store. Then the owner used it as a dwelling. Finally, the Trumbull store was abandoned. In 1891, the owner gave the building to the Sons of the American Revolution. The Sons restored it and now run it as a museum, open in the summer. It sits on Lebanon Green, quite close to the Lebanon Historical Society's campus, which includes a museum and six other structures -- among them, a historic outhouse.